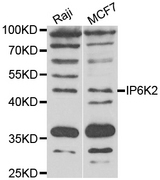 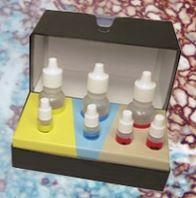 IP6K2 antibody LS-C346270 is an unconjugated rabbit polyclonal antibody to human IP6K2. 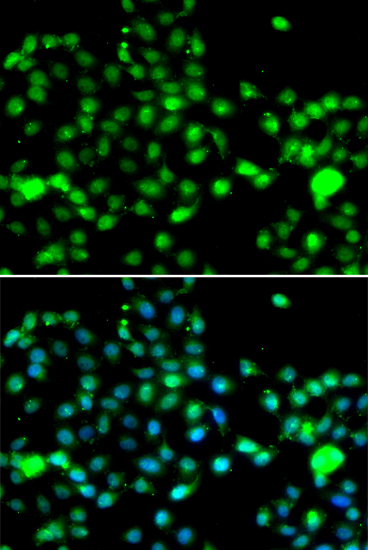 Validated for IF, IHC and WB. 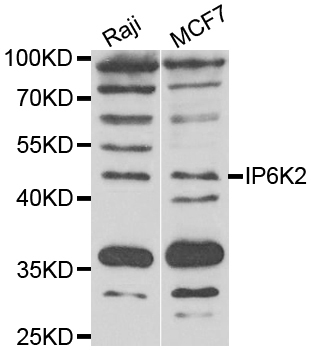 The predicted MW is 8kDa/9kDa/11kDa/20kDa/21kDa/49kDa, while the observed MW by Western blot was 49kDa. 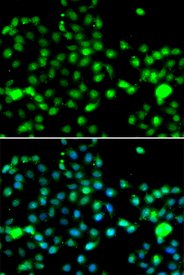 Immunofluorescence analysis of A549 cells.